Before I actually share my Sephora VIB sale haul, I want to be a Negative Nancy, and share few products with you that I will not be spending my hard-earned quids on. Unicorns and rainbows, as a 30-year-old grown-up woman, Unicorns doesn't excite me as much as ponies. Well, I am way over with this trend and I just don't understand the whole Unicorn Movement. The brush set looks more like a collector's item than a useful tool and me ain't no 5-year old to jump around the prospects of having magical Unicorns on my dresser. 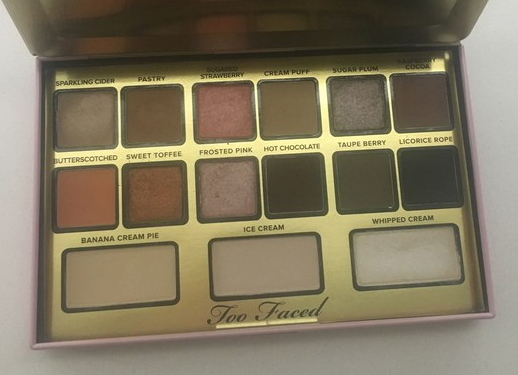 I am vary of Too Faced collabs. 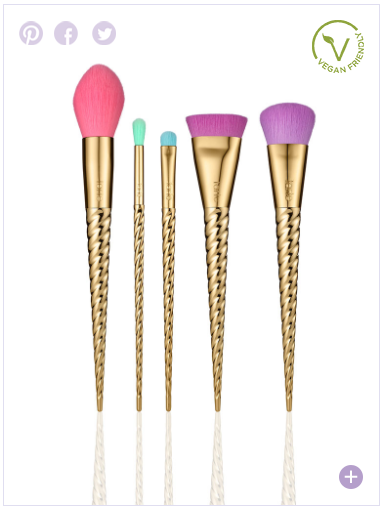 Let's just ignore the fact that 'Unicorns don't grow in the Amazon' (link), but lately, Too Faced has been a major let down. They come out with similar looking items but in cutesy packaging. It's like recycling the gift you received on your wedding (no, I ain't about that life). The shades look just like so many of their other recent launches, and I doubt if it would be woman of color friendly. The shades seem to have a lot of white pigment and would look chalky on tan skin. 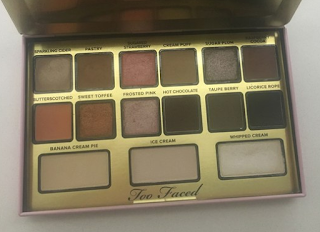 This palette has my name written all over it, but my wallet doesn't agree. I just don't know if ever I would purchase a single palette worth this much quids. 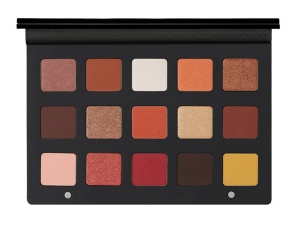 My only gripe is the cost, otherwise, I would have purchased this palette with my eyes closed. Do makeup companies realize that there are skin tones darker than NC35? This collection was knocked out of the radar when Trendmood posted the first glimpse. 4 shades, and each and each of them look like clones with different undertones. 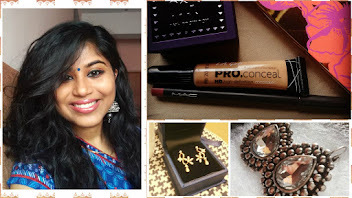 The finish is also something that I don't fancy, glossy finish does not go well with my wild hair which has a tendency to get a little cozy with the lips. 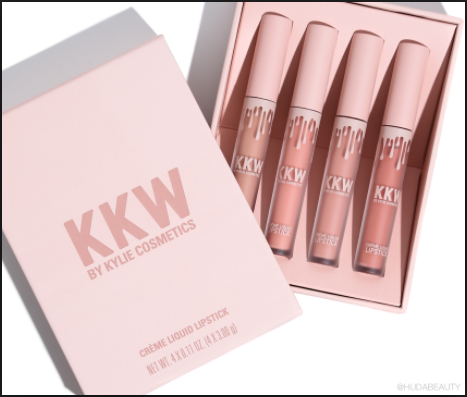 The only shade I can see work for me is "Kimmie", which doesn't make the kit a worth of a hassle to purchase. I am over the highlight game, I am sick and tired. I have enough highlighters to last me in this life and afterlife. The last highlighter palette that I invested in was the Becca x Chrissy palette. I have no regrets about the Becca palette as it's more of a face palette than just a highlight palette with blush, bronzer et all. 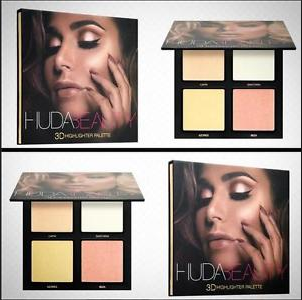 The Huda Beauty highlight palette hype, however, I am not buying into, and if I ever want to switch my career and be a makeup artist (who am I kidding), I have the ABH That Glow palette at my disposal. So what are the summer releases that you are not interested in? Haha! This was a fun read! 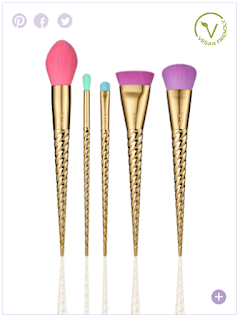 I know that I won't be purchasing any new gimmicky applicator this summer! That is something that I'm pretty sure of! :D oh and no new weird contour highlight kit!